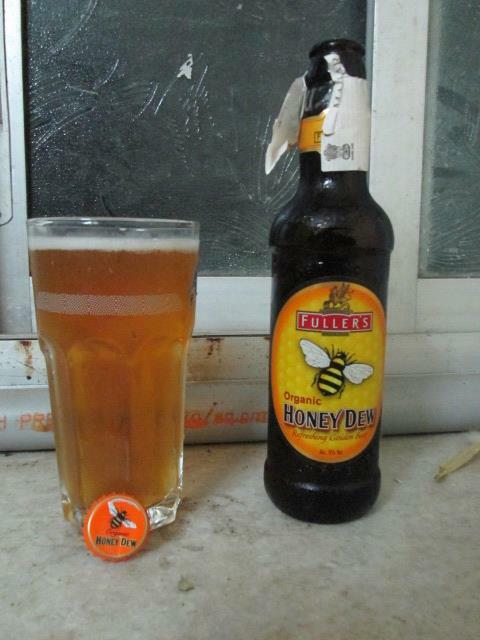 Beer Review: Fuller’s Organic Honeydew | Mehta Kya Kehta? From the brewery that has given me a few brews that feature on the list of beers I drink regularly comes Organic Honeydew beer. Having no idea what honey beers are supposed to do besides tasting like honey I’m just going to drink it and find out. The smell doesn’t reveal much; I can barely tell there’s a honey-like fragrance. The taste is sweet like a medicine you wouldn’t have if you could turn it down. Fuller’s Organic Honeydew‘s malts remind me of some strong lagers people in India drink (to get drunk) and this beer is a total disappointment.